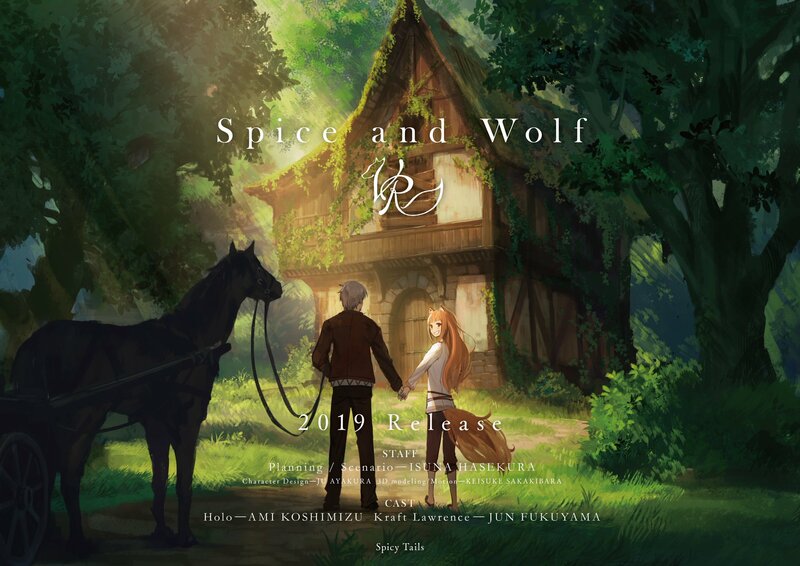 Spicy Tails, the developers behind Project LUX and WORLD END ECONOMiCA, have announced a new VR title, Spice and Wolf VR. The title is based on Isuna Hasekura’s well-known light novel series, Spice and Wolf. The original Spice and Wolf light novels were written by Isuna Hasekura and illustrated by Ju Ayakura. It was published by ASCII Media Works under their Dengeki Bunko imprint from February 2006 to July 2011 and had 17 volumes. New volumes for the novels began publication on September 10, 2016. A spin-off novel series titled Wolf and Parchment began publication in September 2016. Both the main series and spin-off are licensed for release in English by Yen Press. Spice and Wolf VR is set to release in 2019 for the HTC Vive, Oculus Rift, and other devices. No other information for the title has been announced at this time.